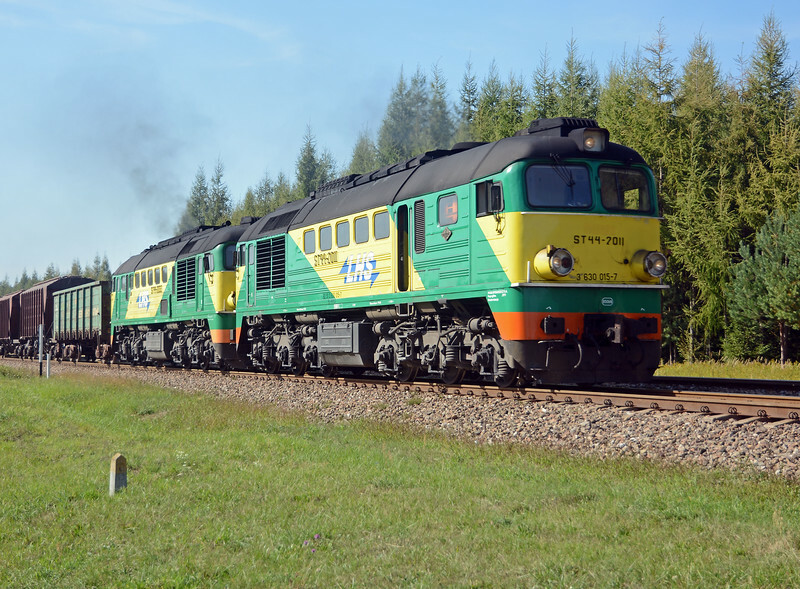 The ST44 is a version of the M62, originally built by Voroshilovgrad Locomotive Works in Lugansk for Hungary in 1964. It became a standard export model for road freight units in all Soviet satellite states and, in two and even three unit form, inside the USSR as well. The Kolomna engine was a new design, especially for the M62. Older Russian road diesels were of the opposed piston type (based on Fairbanks Morse designs) which were too large for a car body which had to fit within the more restricted loading gauge of Hungary, Czechoslovakia, Poland and the DDR. Today they are dinosaurs, akin to the class 47 at home in terms of age, but are still hard at work here in Poland.